It probably does not happen often that a six-month long journalistic investigation of allegations of sexual misconduct against a leading scientist (or any leading figure, for that matter) ends up on the reporter's personal blog. Indeed, it did not have to happen this way. But the series of events I will now describe left only two choices: Bury the story forever, or post it here, where at least I have total control over its contents. After this introduction, I will post the story itself, modified to fit the current circumstances. But first the history of the investigation, as briefly as I can manage. In the spring of 2017, a student in Europe sent an email to several hundred anthropologists, accusing a well known human evolution researcher of misconduct during a relationship he had with her. The Verge (Vox media), for which I had already conducted a couple of key sexual misconduct investigations, assigned me to look into it. By then I already had a track record for doing this kind of reporting, largely on the strength of a lengthy investigation for Science focusing on the curator of human evolution at the American Museum of Natural History. Then, two weeks later, an anthropologist I will call "Diane" posted a personal account on a well known science blog about an experience she had when she was a graduate student. According to Diane, she had been sexually assaulted by the principal investigator at a well known human fossil field site. She did not name her aggressor in the original blog, but later identified him on social media as David Lordkipanidze. After discussions with editors at The Verge, we decided to combine these two stories since they both involved human evolution researchers. As the investigation wound down and we prepared for publication, I approached Lordkipanidze--whom I have known personally for nearly 20 years--and asked him to comment on the allegations. Lordkipanidze retained an attorney in Atlanta, famed for his aggressive and successful pursuit of defamation claims: L. Lin Wood, perhaps best known for representing the parents of JonBenet Ramsey, and Richard Jewell, who was falsely accused of bombing the Atlanta Olympics in 1996. Wood sent a 62 page response to my editors and The Verge's attorneys, in which he denied all of the allegations against Lordkipanidze and cast serious aspersions on my reputation, credibility, and ethics. He also questioned the credibility of Diane and other alleged victims. Wood concluded by assuring The Verge that publication of the story would lead automatically to litigation. Nevertheless, my editor and I continued for at least a couple of additional months preparing the story. But when we had prepared a near-final draft, the attorneys recommended killing the story. I have promised my editors and the attorneys at The Verge not to discuss the details of why the story was killed, although I was told that I could say we were still on good terms and that the accuracy of my reporting was not being questioned (I was paid in full for it.) And I am confident that the article is fully and multiply sourced. I would be remiss, however, if I did not say that the threats of litigation from L. Lin Wood were highly relevant to the decision not to publish the story. There is no question about that. After some reflection, I sent the draft to my former editors at Science, even though the publication and I had separated on bad terms--after 25 years of a very close relationship--in the spring of 2016. After about a week, Science got back to me to say they had decided to pass, on the grounds that with a story like this they prefer to work with a reporter from the beginning of the investigation. I have no quarrel with that reasoning and appreciated them considering the story. I then, late last year, sent the story to David Remnick, editor of The New Yorker, to whom I had pitched previous stories. I had known Remnick since 2009, when he and the magazine were on the receiving end of a somewhat negative story about them for Science. To his credit, although he was not happy that Science did that story, he apparently no longer held it against me by the time I began pitching ideas to The New Yorker. Remnick passed the story to the magazine's online science editor, who got in touch. We had a series of lengthy discussions about it, and at least twice The New Yorker appeared to come close to publishing it, with some additional editing and fact checking. But after three months, the magazine finally decided to pass. One reason for the delay in making a decision, I was told, was that the magazine's fact checking department was badly stretched by the big effort needed to handle Ronan Farrow's #MeToo stories (an effort I certainly applaud.) I don't want to disclose my other discussions with the editors there, but again the accuracy of my reporting was never questioned; other considerations came into play, with which I did not agree, but that was that. That brings us to the present, and the story you will read below. I decided not to try yet another publication, for my sake as well as, mostly importantly, the sake of the victims and other sources who had thought for many months that it would eventually be published. Now it will be, on my terms, although the version here is based largely on the final version we prepared for publication at The Verge. Important note: All sources cited in this story, whether named or not, have given permission for the information attributed to them. I will have some final thoughts about my experiences trying to get this story published at the end of the article. With every passing day, more and more women, and a smaller but significant number of men, are coming forward to describe the myriad ways in which they were victimized by sexual predators. Few areas of human endeavor have been spared: The entertainment industry, the political world, the media, academia, as well as the workaday world where men and women work hard for very little pay. The sciences have not been spared either. Astronomy and astrophysics, molecular biology and microbiology, neuroscience and psychology, are just some of the research fields that have had to confront allegations of sexual misconduct. In many cases, the charges have led to the resignations or firings of high-profile researchers with stellar scientific reputations and long publication records. For the past three years, researchers who study human evolution have been forced to confront serious allegations of sexual misconduct in their own field. The most visible case was that of paleoanthropologist Brian Richmond, who in December 2016 was forced to resign as curator of human origins at the American Museum of Natural History in New York City, after a long investigation into accusations that he had sexually assaulted a colleague and harassed a number of students. Only this summer, after a long search, was the museum able to replace Richmond, with a talented female researcher. Yet while the Richmond case was ongoing, both women and men in paleoanthropology and related fields such as archaeology were quietly discussing other longstanding allegations of misconduct. Last year, one colleague suddenly decided to go public. On May 2, 2017, Diane (not her real name), an anthropologist at a university in the northeast United States, posted a description of her own experiences on a popular science blog to which she is a regular contributor. Under the heading “In case this helps you: This happened to me while I was trying to become a paleoanthropologist,” Diane described being sexually assaulted in 2003 by the director of a Homo erectus field site. Diane did not name the site nor the director in her original blog post. But as the link quickly spread on social media, she invited colleagues to ask her who she was talking about. They did, and she responded, “David Lordkipanidze.” He is the leader of excavations at the famed site of Dmanisi in Georgia, about 55 miles southwest of the capital, Tbilisi. Lordkipanidze, who rose to prominence after the discovery of numerous early human skulls and other human fossils at Dmanisi, is also the general director of the Georgian National Museum in Tbilisi. Diane later deleted her blog post, although she has left Lordkipanidze’s name visible on social media and she has not withdrawn the accusation. (In fact she has made it clear to me and to the anthropology community that it was not because anything in the post was inaccurate.) Meanwhile, my investigation for The Verge uncovered numerous other allegations of sexual misconduct by Lordkipanidze, including a serious charge that he sexually assaulted a colleague in his hotel room during a scientific event in the United States. Lordkipanidze flatly denies assaulting Diane as well as other women who have made similar charges against him. And a number of Lordkipanidze’s colleagues working at Dmanisi have come to his defense, insisting that they have never observed him engage in misconduct. But others describe a chronic pattern of harassment and inappropriate behavior with women, stretching over a period of at least 15 years. And Diane’s claims are supported by at least four contemporaneous witnesses who say she told them about the alleged assault either immediately or shortly afterwards. A pattern of sexual misconduct in anthropology, and a fabulous fossil site. Even before the allegations first surfaced against Richmond in 2015, anthropologists and archaeologists knew their domain of research, which relies heavily on field studies in cradles of human evolution such as Africa and Asia, was particularly susceptible to sexual misconduct. In 2014, four anthropologists published a “Survey of Academic Field Experiences” in the journal PLOSOne. The so-called SAFE study, based on an anonymous online survey, found that 64% of the 666 respondents reported they had suffered sexual harassment while doing the kind of fieldwork fundamental to anthropological and archaeological research. (A sequel to this study, based on interviews with researchers engaged in fieldwork, was published late last year in American Anthropologist.) Thus a number of the alleged episodes involving Richmond took place in Kenya, which, like Dmanisi, hosts a field school which attracts young students from all over the world. “When the Richmond allegations initially became widely known, the field was already at a heightened state of awareness,” says David Strait, a paleoanthropologist at Washington University in St. Louis, Missouri. “The SAFE study had forced men in our field to confront the sobering fact that sexual misconduct, including assault, was a very real problem in our discipline. Women already knew this, of course." Researchers have been digging at Dmanisi since the 1980s, when they found remains of ancient plants and animals. In 1991, prehistorians from Georgia and Germany launched a new round of excavations at the site. They got lucky that first year, finding the jawbone of an early human just above a layer of volcanic rock that had earlier been dated to about 1.8 million years old. But other scientists were skeptical: conventional wisdom at that time held that humans had not left Africa much before 1 million years ago. The skepticism persisted even after a human foot bone was found at Dmanisi in 1997. Two years later, however, the Dmanisi research team—now led by Lordkipandize, the son of a famous Georgian archaeologist—discovered two human skulls in equally old volcanic layers. (I was present at a May 2000 meeting in the south of France where Lordkipanidze presented the skulls publicly for the first time, and I coauthored a news story for Science that accompanied the publication of the skulls in that journal the week after the meeting.) The new finds silenced the skeptics, and established definitively that humans had left Africa much earlier than anyone realized. Most scientists now recognize the skulls as belonging to early members of the species Homo erectus. Further work at Dmanisi, which is still a very active research site, has now uncovered a total of five H. erectus skulls, along with many other early human fossils. 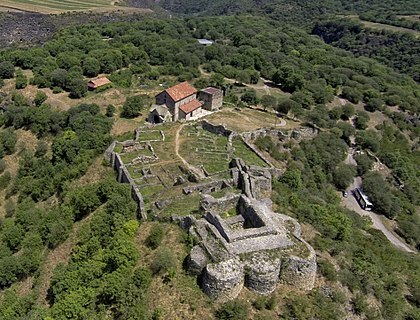 The new discoveries put Dmanisi on the scientific map; researchers and students from all over the world flocked to the site. They also turned Lordkipanidze into a top scientific celebrity, a status greatly enhanced by his power to decide who could work at Dmanisi and who could have access to the fossils and other data. Although Lordkipanidze was still director of the Dmanisi excavations, by 2003 he was spending most of his time at the museum in Tbilisi and not at the site, say several researchers who were working at Dmanisi at the time. His usual habit, they say, was to come shortly before his birthday, which would be celebrated by a large dinner and a party--a Dmanisi tradition that continues to the present day. Sure enough, the researcher says, during the evening party Lordkipanidze “kept trying to get her alone. All evening.” Finally, she says, Diane went upstairs to bed. The researcher followed her up minutes later, but Lordkipanidze had already followed Diane up the stairs and allegedly assaulted her. “We had spent the whole evening trying to avoid that,” she says, describing how upset Diane was at the time. Adam Van Arsdale, an anthropologist now at Wellesley College in Massachusetts and a graduate student at Dmanisi from 2002 to 2005, relates a similar version of events. But Lordkipanidze's behavior was not restricted to Dmanisi itself. Another woman says he attacked her at a conference in the United States in 2011. The alleged victim says that following a dinner meeting with Lordkipanidze, he asked her to stop by his hotel room so he could retrieve some literature about Dmanisi for her. Inside the room, after rebuffing one advance from him and thinking he had accepted that she was not interested, the victim suddenly found herself pinned down on a couch with Lordkipanidze forcibly kissing her. "I was terrified," the victim recalls, noting that Lordkipanidze is big and strong. When he finally released her, she jumped off the couch and left the room, returning to her hotel. The victim confided in a friend shortly after the alleged attack, a researcher she knew well. That friend confirmed to me that she had told him about the incident at the time. But the other four, all women who attended the field school in 2015, told a somewhat different story. Each of the four described situations that made them uncomfortable. One says that on the evening of Lordkipanidze’s birthday party, two men she had not seen before arrived for the celebrations. “I had no idea who they were or why they were at the field school, but all the Georgians seemed to know them, so I assumed they were part of the Georgian Museum. It became evident, very quickly, that the only reason they were there was to pick up girls.” The student says that the men focused their attention on two students in particular, although she was not one of them. A second student says that one evening, in the midst of some heavy drinking, a young Georgian man who was working on the excavations pulled one of her female fellow students away and got her in a location that was out of sight of the others. Shortly afterwards the woman could be heard yelling, and her colleagues had to intervene to pull the man from on top of her. They did not report this episode to the leaders of the field school, however. Dmanisi: An atmosphere charged with sexism and harassment? While the allegations against Lordkipanidze himself are very serious, the ambience at Dmanisi seems typical of that at many archaeological and paleontological field sites. Some researchers say that the ubiquitous presence of alcoholic beverages exacerbates the problem, providing both an opportunity and an excuse for misconduct. Such a view is expressed by the European researcher who says she had to physically rebuff Lordkipanidze’s advances in 2001 or 2002. The ubiquitous availability of alcohol at Dmanisi, she says, including chacha, a Georgian brandy with at least 40% alcohol content, creates an atmosphere that blurs the lines between acceptable and unacceptable behavior. “When you are drunk you lose the boundaries,” she says. During my investigation, a number of current Dmanisi team members expressed considerable concern that publication of the allegations against Lordkipanidze would damage the important excavations there, and possibly lead to international colleagues shunning the site. Just how the accusations will affect the future of the research at Dmanisi remains to be seen. Yet, as we have seen with the Weinstein case and so many others in recent months, that future may depend heavily on whether those individual team members choose to believe the accusers, or the accused. Over the months since The Verge killed this story, I have been determined not to let it be buried. While trying to interest another publication in publishing the investigation, I have used social media repeatedly to warn researchers--especially female students--about the danger I see if Lordkipanidze managed to get them alone. In the meantime, the testimony of Diane--who is highly respected in the anthropology community, and whose allegations are widely believed by her colleagues--has raised the consciousness of anthropologists about the situation at Dmanisi and Lordkipanidze's behavior in particular. As an example, earlier this year the German Academy of Sciences organized a human evolution meeting in the German cities of Leipzig and Halle, which was supposed to take place this coming November. Many illustrious researchers were invited. However, when some of them learned that Lordkipanidze was scheduled to speak during the very first session, at least a half dozen wrote to the Academy to protest and said they would not attend if he was present. In the end, the Academy cancelled (or at least postponed) the meeting rather than face the embarrassment of a boycott and a public scandal. Moreover, the story I tell above is not complete. There were other victims who told me their stories but are not yet ready to see them in print, even anonymously. They are still recovering from the trauma of their experiences, and they still fear retaliation if they go public. Post-Weinstein, most editors I have worked with, and I think others as well, have begun insisting that at least some victims be named. That puts incredible pressure on both victims and reporters, because this really should be a choice. It's a kind of "Me Too" in the worst possible sense, in which the priorities of the publication are privileged over the needs of the victims. I hope that an open discussion of this can take place soon. But for that to happen, the problem has to be identified and recognized. *** This section involving the students at the field school has been updated based on new information that came to light since the story was first published. 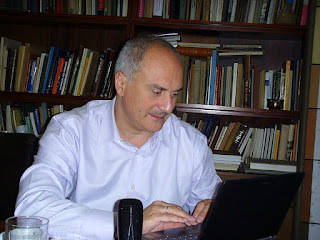 Thus the archaeologist quoted also assumed that by harassing and assaulting women, Lordkipanidze was acting according to the norms of his own Georgian culture, which is insulting to that society. I personally agree that this appears to have become an intellectual excuse for not protesting clearly unprincipled and abusive behavior, so as to retain access to the fossils and other data (and to further one's own career.) There is considerable evidence that some non-Georgian members of the Dmanisi team are continuing to overlook bad behavior at the site out of this kind of expediency.